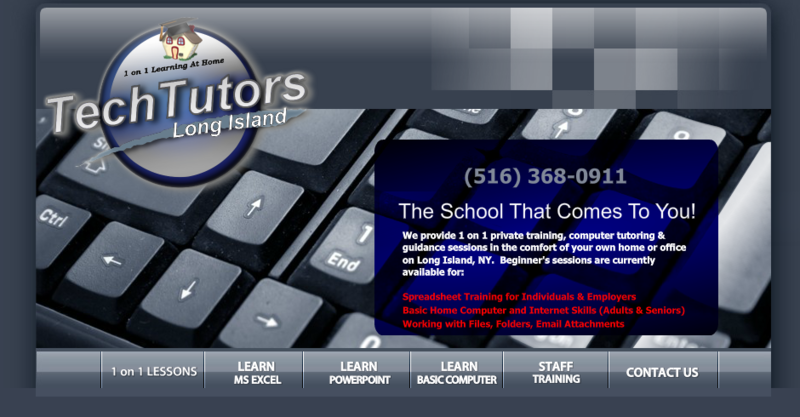 Weekly On-site computer training and basic excel classes can be scheduled at your place of business or residence. Learn in a 1 on 1 environment at your own pace and at your convenience. We take great care in your computer training & education. Learn in a hands-on step by step fashion with a professional literally at your side and guiding you at all times. While we provide most of the lesson materials necessary, it is required that you have access to your own personal computer which uses the MS Windows (OS) Operating System and a reliable internet connection at your location. For casual learning of basic computer, email and internet skills in the comfort of your own home. Learn at your own pace with a patient & caring instructor by your side at all times. Learn as much or as little as you'd like to about using your home computer and the internet with your own personal computer tutor. Lessons for training beginner's and intermediates. Perfect for those with either no experience or those who would like to increase their current skillset with spreadsheets, Powerpoint presentations or even MS Word. The "1 on 1" approach we use in computer training helps to promote your full understanding of the subject matter. You will learn by DOING and how to actually apply what you've learned in the real world. navigate the menus, utilize important Excel features, how to deal with basic formulas and design spreadsheets.